Cheltenham or as many people call it Cheltenham Spa is a place that many of you probably would not automatically think of when it comes to going away for a few days-unless of course you are into horse racing! Located in Gloucestershire, Cheltenham is very easy to get to no matter where you are coming from. The A4019 off the M5 is the road you will want to take in order to get there in the most direct fashion. As the Cheltenham Festival with its Steeplechase is a major UK event, the town is very well sign posted so I would not worry too much about finding it. The Cheltenham Festival happens every March and is the main thing that people seem to want to visit the town for. The Steeplechase is the main event here with people literally coming from all over to watch it. It is said that millions of pounds are gambled during the Cheltenham Festival. So if horse racing is your thing then you will certainly want to go during March. But what if you have absolutely zero interest in horse racing? Well the town of Cheltenham has more than enough things to keep you entertained during your stay. Read on to find out what there is for you to do in this cool town! Here we have three attractions that will make your stay in Cheltenham very memorable. The town does have a great deal of other things to do, but these three attractions are a great way to start. Prescott Speed Hill Climb: Now this is what I am talking about if you are more into riding on things that do not need to eat hay then this is a event to tackle during your stay in Cheltenham. Prescott Speed Hill Climb is a place that has a multitude of events on so make sure you see what they have on offer during you stay. If you are a car nut, be it modern or classic , then you will have an absolute blast here…….. and there is not a horse in sight!!! Cheltenham Racecourse, probably the main reason people will go to Cheltenham is for the horses. But if you find the Cheltenham festival just far too busy for your tastes they do have races and events on during the year that are much more low key, but still a ton of fun if that is your kind of thing. Just because the Cheltenham Festival is not on does not mean there is no action happening at Cheltenham Racecourse. Ian Coley Shooting School, is pretty much what is written on the sign. This is a way you can learn how to shoot in one of the most prestigious shooting schools in the UK. Ian Coley was part of the UK Olympics Team when it comes to shooting so that is pretty cool and something you can tell people about when you get home. If you have always wanted to shoot a gun, here you can do so in a safe and controlled manner. Places to eat in Cheltenham are certainly in no short supply. There are perhaps more “up market” style places to eat here than you would expect to find in a town this size, but that is due to the kind of crowd horse racing attracts, but there are also your standard family and fast food places where you can get a bite to eat as well. The Everyman Theatre, is a great small theatre that has some amazing touring shows that come frequently. While the line-up of course changes all year round. It’s worth looking into what is on here during you stay.Cheltenham does have a reputation as a posh town, but there are still a bunch of pubs and night clubs where you can have a great time with your friends. 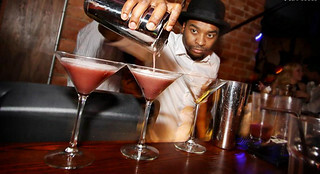 Some of the more notable places to go on a night out are Shooters Lounge Bar, Revolution Bar and the Boogie Night Club.